After changing your group email address click on the Update button. Your group email address will be updated right away. 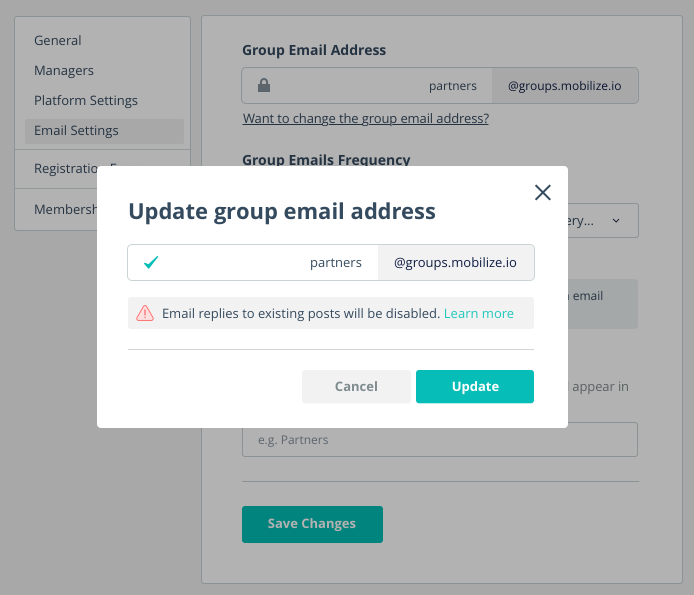 NOTE: when you change the group email address, posts that were sent with the old email address will exist only on the platform, they will not be available through email anymore. This means that every time a member will try to reply back to a post with the old group email address, he will receive an email notification letting him know that the group email address has been changed.